While heat pump technology is not new, the equipment and technology are always advancing. That means you can put a heat pump to work for you and save. 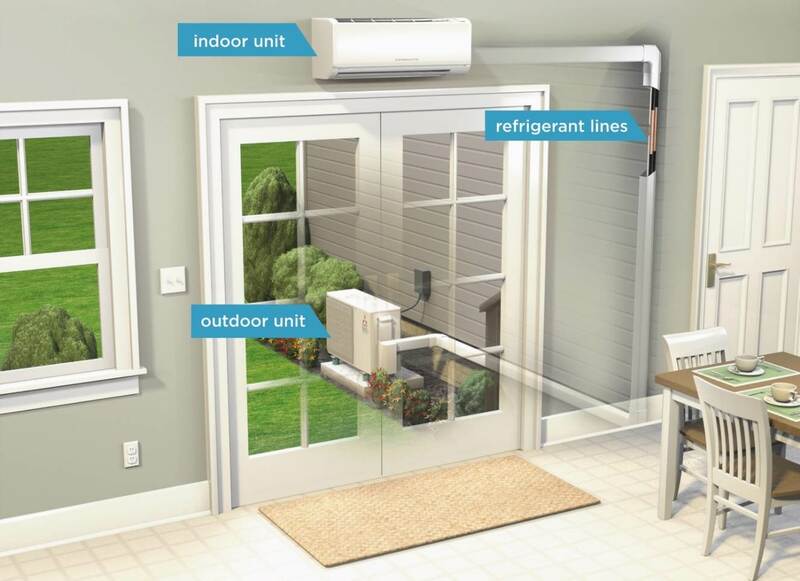 A heat pump uses technology similar to a refrigerator or freezer to heat or cool your home. Rather than combusting a fuel, heat pumps use electric power to move heat from an outside source to inside your home. Ultimately, what that means is you can heat your home more efficiently and see the results in your energy costs. The popularity of Heat Pumps has risen dramatically over recent years. This has not been purely for their high energy efficiency ratings, but is also due to the numerous practical, convenient, and environmentally friendly benefits that ownership can bring. The most obvious benefit of a heat pump system is its ability to provide warmth. Heat pumps can very quickly increase the temperature of a room. This can be achieved with the simple touch of a button: at the wall; or on the remote; and even from the comfort of your chair. 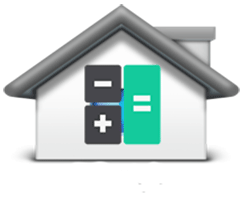 Even when you are away from home, you can monitor and adjust your heat pumps accordingly using a mobile app. The “reverse cycle” in the full name of a heat pump refers to its ability to work backwards. In addition to extracting heat energy from outside and bringing this in to your home, your heat pump also has the ability to extract heat from inside your home and transfer this outside (in exactly the same way as a fridge works). The term “Air Conditioning” is more commonly used for the cooling cycle or function of your heat pump. Your comfort is the single most important feature of a heat pump, and you are in control. Although most of us are comfortable living within a small bandwidth of temperature all year round (68-73 degrees F whether heating or cooling) we all have our own definition of warm enough or cool enough. A heat pump provides you with the ability to easily control and maintain your climate to your comfort levels. A heat pump enables you to increase or decrease the temperature of your room, or switch from heating to cooling in an instant and at the push of a button. Heat pumps can heat up or cool down a room within a few minutes, then, once the room reaches your preferred temperature, the heat pump will maintain that temperature for as long as you require it to. You can even leave your heat pump on when you go out and it won’t cost you a fortune to have the luxury of returning home to a comfortable temperature. Many heat pumps have the additional benefit of utilizing a mobile app, which allow you to warm up your room prior to getting up on a cold morning or before your return from work. Heat pumps don’t create smoke, ashes, moisture or any other waste material for you to remove. There are no trips required outside in the cold and rain for wood or pellets. When cooling or dehumidifying your home there is no need to empty the reservoir of water as your heat pump is has a permanent drain to the outside. Unlike gas heating or wood burners, there are no flames or hot surfaces that children or pets can touch and burn themselves on. They can also be safely left on while you’re out or asleep. Heat pumps don’t create smoke or add any fumes to the air. Also, as your Heat Pump circulates the air in your room, the unit filters clean and purify the air removing dust, mold spores, odors, smoke and other particles. They are excellent for people who suffer from asthma and allergies. As heat pumps become more popular, they are adding value to your home. A warm, dry, comfortable environment with the addition of air conditioning will always be first choice over a house without such sought after benefits. Heat pump design and aesthetics are becoming streamlined and less obstructive, you barely see them. Unlike a fire your heat pump does not need center stage or to become a focal point in your room (taking up valuable floor space). Also there is no need to sit near the unit in order to benefit from the heat as the air in the room is warmed and circulated for the benefit of all. Heat Pumps are currently one of the most cost-effective form of heating using electricity and most good quality systems achieve average COP (Coefficient of Performance) figures of four or more. This means that to achieve four kilowatts of heating or cooling power, they use an average of less than one kilowatt of electricity. A conventional heating system such as an electric fire or gas boiler has a COP of less than one. This means that it burns more than one kilowatt of power to produce a kilowatt of heating power. The higher the COP the cheaper a heating appliance is to run. In comparison to other forms of heating, Heat Pumps offer the most energy efficient heating with between 300% to 400% efficiency. The combustion process of wood burners causes fumes, soot and smoke which provide a major burden on the environment in terms of its carbon emissions. Utilizing heat pumps reduces fossil fuel consumption. 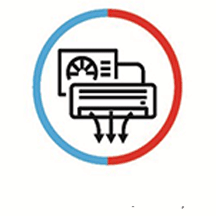 As the Heat Pump does not burn anything at the heat energy source, there are no additional carbon emissions other than the small amount of electrical energy required to run the compressor. Heat Pumps are environmentally friendly – most new heat pumps use R410A refrigerant which does not harm the ozone layer if released and is also more energy efficient. Heat Pumps are one of the most cost-effective methods to heat your home. See the chart below for a comparison of how your fuel type compares to Air Source Heat Pumps. Save Money with a Heat Pump Incentive. If you’re looking to install a heat pump, there could be an incentive that fits your project. NHEC provides heat pump incentives for members installing heat pumps in existing homes or new construction. Incentives for high efficiency heat pumps are up to $1000 per ton. Financing is an option too! NHEC works with a number of lending partners to help support members with financing the cost of a heat pump. Through our Third Party financing option, you can apply for a Heat Pump Loan with any participating lending partner. 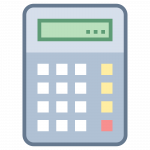 We have created a simple calculator to let you see your potential savings when you choose to heat your home with a heat pump. Please note that NHEC recommends that you get a qualified heating contractor to visit your home to determine what size system would work best for your situation and estimate the cost of installation. Clean the air filters once a month, or as needed. The inside air handling unit needs a constant flow of air to work efficiently. When the filter gets dirty, it causes the air handler to work overtime just to get air through the unit. Some air filters can be cleaned with water or by lightly vacuuming them. Keep the outdoor condensing unit free from debris. If leaves, dirt, and other debris clog the intake, this will cause the unit to work less efficiently, and can lead to damage of the components. It is very important to remove snow or ice buildup during the winter. Don’t cover your heat pump to try to protect it from outdoor elements, the units are designed for outdoor use. Make sure vents inside the home are clear. If you have furniture blocking a vent or have curtain/drapes in front of unit the room won’t warm or cool properly. This makes the entire system work harder. Clean the vents. When you’re clean air filters, take time to clean the air intake vents. Like the filters, if the vent gets clogged, it causes the air handler to work harder than it should. Have an annual checkup. An HVAC technician can check the entire system and see if there are any leaks or other problems that need to be addressed. This helps the system to work more efficiently, and also prolongs its life. Try not to set your thermostat over 70. Make sure your home is properly insulated so heat doesn’t escape. Lock the windows to reduce the warm air escaping your home. Make sure all heating vents are clear from obstruction. Lower thermostat when hosting a large number of guests. Try not to set your thermostat below 72 degrees. Use your grill and cook outside as much as possible. Heat pumps do operate somewhat differently than a traditional systems. So how do you begin heat pump troubleshooting? And are there issues you can fix yourself? In some cases, there are issues you can prevent and problems you can solve on your own when you are aware of the heat pump troubleshooting steps. Here is a list of the most common problems we see with heat pumps, possible causes and what to do next. Of course, if you are uncertain of the issue, we recommend that you contact your HVAC specialist and schedule an appointment. During the cold winter months, your heat pump’s outside unit will sometimes be covered with a coating of frost on the sides, or even light ice. This is perfectly normal. Every so often, the unit will go into defrost mode to remove that frost. However, if the top of the unit has a heavy coat of ice, the coils are encased in ice, or the entire unit is covered with a thick sheet of snow and ice, this indicates a problem. All that ice prevents the transfer of heat between the refrigerant and the outside air, and impedes the operation of the heat pump. If you don’t take care of it soon, you could damage the unit beyond repair. Ice in the coils can damage the sensitive fins, the fan blades, and eventually lead to compressor failure. The unit is not defrosting. Under normal conditions, your heat pump periodically switches to defrost mode for a few minutes, which heats up the outdoor coils enough to melt any frost and light ice that has accumulated. If the unit is not defrosting, ice can build up in a hurry. Defrost issues can be caused by faulty relays, controls, or sensors. There could also be a problem with the reverse valve that switches the unit from heat to air conditioning mode. Outdoor unit is blocked. If piles of snow have accumulated around the outdoor unit, the impeded air flow can cause more icing. Water is leaking onto the unit. Water constantly dripping on the unit from leaky gutters can gradually form a layer of ice on top. Actually, let’s start with what you should NEVER do: use a hard or pointy object to try to chip away the ice! Those fan coils are very delicate and can easily be damaged. Instead, use water from a hose to melt the ice. Remove and debris or snow that may be blocking the unit. Check for leaking gutters that may be dripping water onto the unit, and repair them. Call your HVAC service tech to troubleshoot defrost issues. For more information regarding Residential High Efficiency Heat Pumps and Rebates, please contact Kurt Campbell campbellk@nhec.com or 603.536.8672. For more information regarding Commercial Heat Pumps and available commercial incentives, please contact Joe Lajewski at lajewskij@nhec.com or call 603.536.8663.